" Het strand van Bai Xep is ongelooflijk. We brachten een paar dagen door in een hotel direct aan het strand en het was een paradijsje. Wit zand, palmbomen, warm water - absoluut idyllisch. Als je in de buurt bent, verblijf dan hier voor een paar dagen. Je kunt een motorfiets huren en de streek verkennen. De omringende kust is werkelijk prachtig". 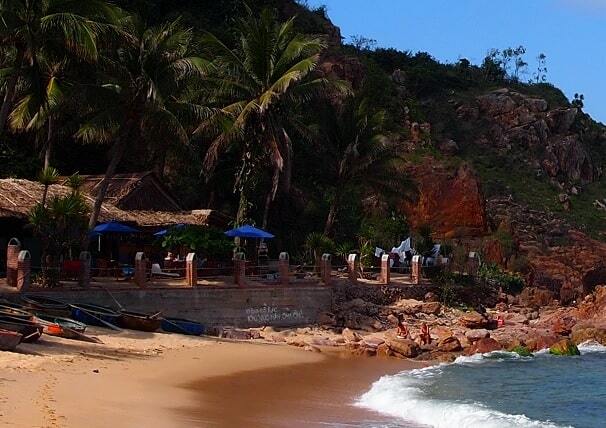 Bai Xep - is located 12 km south from the center of Quy Nhon. Here lately many new guesthouses are built. Bai Xep has developed into a fishing village with lots of nice guesthouses, which are located right at the beautiful white beach. A perfect place to stay halfway between Nha Trang (to the south) and Hoi An is (in the north). Here, you can escape from the busy city life and all the tourist attractions of Vietnam. Here in this quiet pedestrian fishing village of Bai XEP have the chance to experience an authentic Vietnamese beach without the unbridled tourism. The village has only 700 inhabitants. 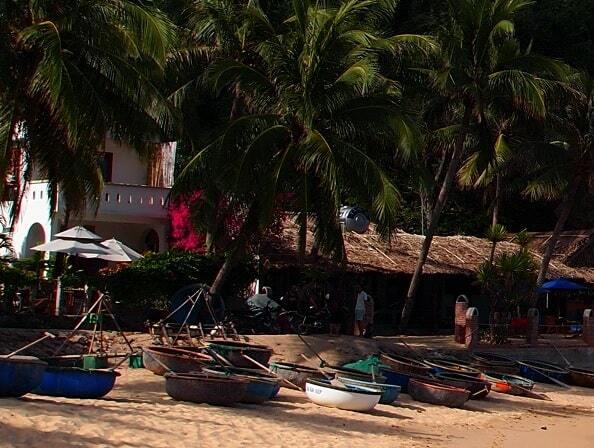 Despite the seclusion and quiet location at the beach, in Bai Xep hangs a surprisingly fun and cheerful atmosphere. The fishermen work hard and the locals embraces and greets you with a pleasant smile. In the evening there's not much to do than to drink a few beers (or other drinks) at sunset and enjoy the atmosphere. There is even the occasional (and great) local band, which performs contemporary hits. 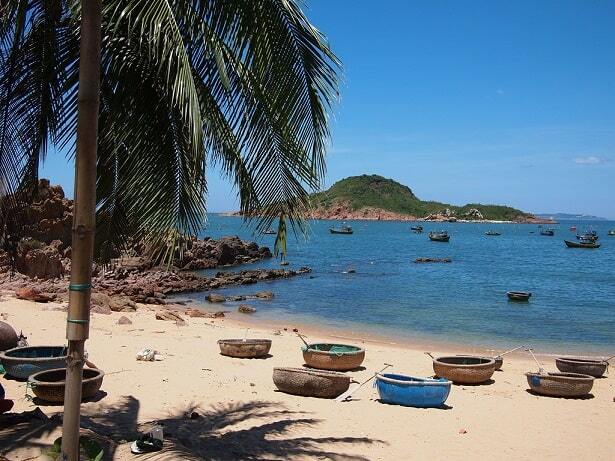 Bai Xep is known as a remote fishing village at the coast near Qui Nhon, a small but beautiful beach and crystal clear water. Many travelers overlook this village and don't stay here for a few nights. That is for these tourists certainly a great loss! Everywhere in Vietnam they have one or more markets with foodstuffs. However, Bai Xep's market is a bit smaller than the other ones. There are only four or five stalls selling fresh fruit, vegetables, meats and of course fish. Because the town is known for its fishing, you are guaranteed to see lots of fresh and delicious seafood. The restaurants along the beach offer both local and Western dishes and beers. The prices are comparable to the rest of Vietnam. There are offered plenty of dishes. The portions on your plate tend to be larger than elsewhere. And if there is fish and chips on the menu, try it! Just like in other small villages you can expect, that there are not many shops. But you can always count on at least one small mini-mart shop. They don't sell much, but they make a lot by theirselves, such as cookies, chips and other sweet snacks. If you want to try something special, you can rent a traditional round boat (called a "coracle") at the beach of Bai Xep. Then try to paddle to the small island off the coast. It takes about 30 minutes. Here you can enjoy even more gorgeous, white sand. After a short walk on the island, you'll be rewarded with spectacular views at the ocean and maybe you can even admire the sunset. It's a fun and relaxing trip with a subtle touch of adventure (as Bai Xep)! See the picture of the island! You can also get a cooking class in the village. The cooking course is offered by local women. You'll learn among others all about vegetarian recipes. So you can enjoy true authentic Vietnamese style of cooking and the cooking class is taught by one of the villagers and after preparing the food, you can eat your self made culinary creation! This is another activity "off the beaten track". Bai XEP is located on the breathtaking coast of Vietnam and has more coastline around this amazing town, waiting to be discovered. You can also rent a moped. It's cheap and that you rent the moped in the village. Let the cool breeze caressing your sun-kissed face, if you make a leisurely, scenic drive to see what lies outside the village.